Hacker Boards has compiled a fantastic list of 81 Linux single board computers that are priced under $200 the makes for a great reference guide when finding the perfect mini PC for your next project. To be included in the list the boards must have at least some community and technical support and need to offer open source Linux or Android distributions for download. Hacker Board explains a little more about the awesome SBC list they have created and some of the factors they considered before adding systems to the guide. The boards must also offer at least some community and technical support for individual developers. If we were voting ourselves, we’d give extra credit to projects with forums, tutorials, and other resources for sharing tips and designs based on the SBCs. Ideally, there would be explicit open source licensing for creating derivative hardware, although this is not required. We could easily have boosted the current survey’s 81 board total to 100 or more, if we had included every SKU of every model offered by vendors. Instead, to make the list more coherent we have grouped some very similar models together, mentioning differences in configuration in text, and we have omitted some older boards when newer, very similar, boards clearly supersede them. 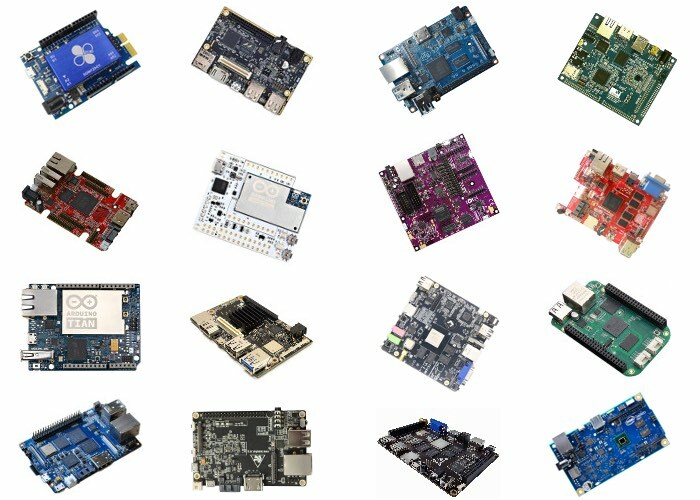 View the full 81 Linux SBC systems in the guide via the link below. If you enjoy building Raspberry Pi projects you might also be interested in our comprehensive list of Raspberry Pi displays, HATS and small screens.